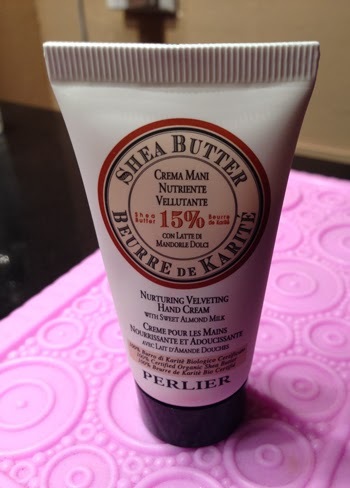 THE SKINNY: Perlier Beurre de Karite Shea Butter Hand Cream is as about as average as a product comes. It works alright; it smells ok; and is essentially fine. But it's nothing special. So far it has not put a dent in the damage fall is doing to my hands and the scent is unimpressive, but not instrusive. Sadly, there's just not much to say about something you use and don't even really notice in any way at all. This is not a product I would seek out or look to buy. KEEP OR TOSS: Keep. If you need a quick hand lotion. CHECK IT OUT: This is one of those oddball products that is a little hard to find, although Amazon does have it in a small supply.